Un ragazzo di 13 anni è stato salvato dal padre alienante che lo aveva portato ad odiare la mamma. Addirittura il papà lo aveva coinvolto in una falsa accusa di violenza domestica contro la mamma, che da allora rifiutava di vedere. “Francamente un tale azione ha indignato la corte” ha detto il Giudice che ha deciso per l’unica soluzione possibile: l’allontanamento dal padre ed il recupero dei rapporti con la madre, affidato al programma Family Bridges. Toronto – A 13-year-old Ontario boy whose domineering father systematically brainwashed him into hating his mother can be flown against his will to a U.S. facility that deprograms children who suffer from parental alienation, an Ontario Superior Court judge has ruled. 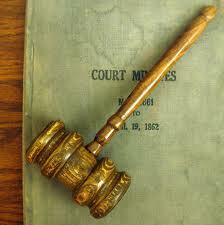 Mr. Justice James Turnbull ordered the boy – identified only as LS – into the custody of his mother. He said that the boy urgently needs professional intervention to reverse the father’s attempt to poison his mind toward his mother and, in all probability, to women in general. “There will probably be future significant problems experienced by LS if the court does not intervene – including significant personal guilt for his part in the rejection of his mother, anger towards women, and dysfunctional relationships with women,” Judge Turnbull said. The judge flatly refused to take the boy’s opinion on the therapy into account, saying that LS cannot exercise “free discretion in expressing his views” because of the influence his father has had on him. Judge Turnbull observed that the father, 54, has repeatedly breached court orders granting the mother limited access to her son. He said that the boy has come to perceive himself and his father as “intertwined and unable to distinguish one’s thoughts from the other.” As part of his campaign of absolute control over LS, the father dictated toxic e-mails for the boy to send to his mother. He also removed photographs of the mother from her son’s bedroom. Judge Turnbull also noted that in 2005, the father pursued an assault charge against the mother. As a result, LS, at the age of 10, was required to testify against her in criminal court. “Frankly, the exercise of such parental indiscretion stuns this court,” Judge Turnbull said, adding that the mother was acquitted. Jeffery Wilson, the mother’s lawyer, said Thursday that the case is a breakthrough for parents attempting to win back children who have been intentionally alienated from them. “This is a precedent in Canada – the first time a Canadian court has recognized the lack of resources to deal with the disease of parental alienation and answered it with a private remedy – the Family Workshop for Alienated Children,” Mr. Wilson said. “The age of a child is no reason to justify a lost opportunity to know and benefit from both of the child’s parents,” he added. In his ruling, Judge Turnbull praised the work of the FWAC and urged the Ontario government to encourage similar programs. According to evidence at the hearing from Dr. Richard Warshak, a founder of the FWAC, many children are so set against participating in a program that reunites them with a hated parent that they have to be transported by police or probation officers – sometimes in restraints. “In the case at bar, Dr. Warshak has suggested that LS would travel to the United States with transport agents on one flight, and his mother would follow closely on another flight,” Judge Turnbull noted in his ruling. Dr. Warshak said that sessions focus on teaching children to assess their domestic situation critically, and to appreciate that both of their parents are essential to their well-being. Sessions, which typically last from three to seven days, lean heavily on video presentations, intensive discussion with psychologists, and opportunities for the child and his or her alienated parent to interact. Upon returning home, children receive after-care from a local psychologist. 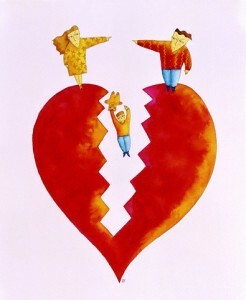 After several months, the child is usually ready to commence a relationship with the parent who caused the alienation. The parents in the LS case married in 1982 and separated in 2005. LS was placed in the primary custody of his father, a salesman. The father changed phone numbers, ignored e-mails and left the mother – a 49-year-old who works in public relations – with no alternative but to drive to arenas where her son’s sports teams were playing in hopes of getting a glimpse of him. The mother launched court action last year in an attempt to win sole custody of the boy. After a nine-day hearing last fall, Judge Turnbull reserved his decision. He said that an e-mail the mother received in late 2006 was indicative of the father’s control over the boy. “I don’t want to see you and I never will want to see you ever again and who do you think you are to say my dad makes my decisions (sic),” it said. “I MAKE MY DECISIONS. GET IT THROUGH YOUR HEAD. If I want to see your side of the family, I will call them.” A child psychiatrist who assessed the father, Dr. George Award, said in a report that he was a mistrustful, autocratic woman-hater who “built a demonic image” of his ex-wife and turned his son into his entire social life. ← Bambini salvati dall’alienazione genitoriale: è opportuno che tornino ad avere incontri non protetti con il genitore alienante?